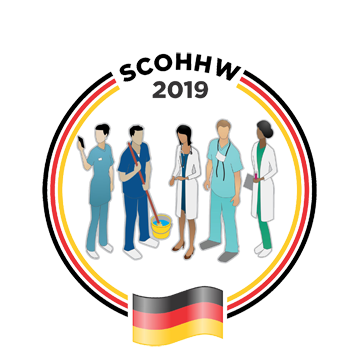 The 11th joint OHHW conference will be held in Hamburg from October 22 to October 24, 2019. This OHHW conference will be organized by the Scientific Committee for Occupational Health for Health Workers (SCOHHW), the Scientific Committee for Occupational and Environmental Dermatoses (SCOED), the Scientific Committee for Woman Health and Work (SCWHW) and the International Section of the International Social Security Association (ISSA) on Prevention of Occupational Risks in Health Services. Presentations on other relevant topics are welcome.